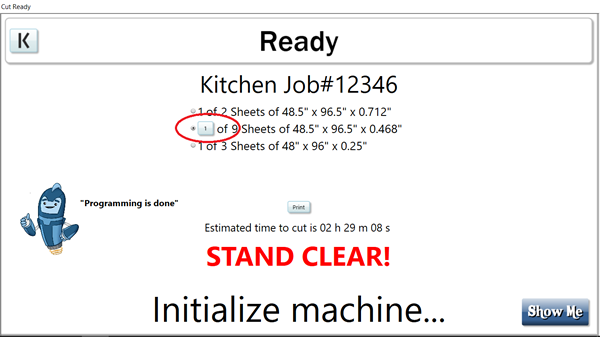 Included in this update is the new ability to view and select specific sheets to cut from your nested sheets in a job. We call this "jumping" over sheets. If you have a situation where maybe you've got a few sheets of bad material mixed into your job, or if you only want to view/run selected sheets from your job, this new update gives you that ability. 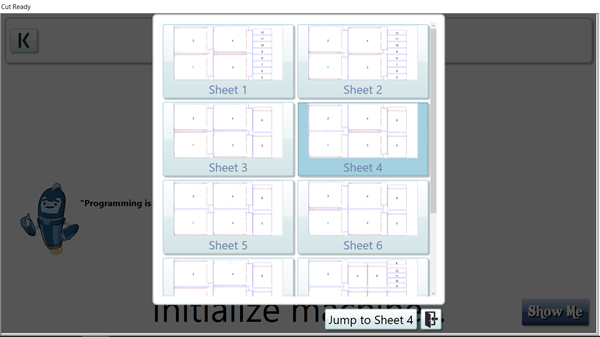 You simply select the sheet you would like to jump to and you are ready to start cutting parts!